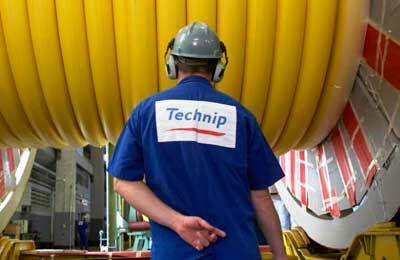 TechnipFMC, a global leader in subsea, onshore/offshore, and surface projects, has announced that its board of directors has approved an additional $300 million share repurchase program to be implemented through open market purchases. The company remains committed to completing its existing $500 million share repurchase program by the year-end, said a statement from Technip. The Share Repurchase Program will be implemented in accordance with the authorization granted by TechnipFMC’s shareholder on January 11, 2017, which remains valid until January 11, 2022. Under this programme, TechnipFMC will be repurchasing up to $300 million of its ordinary shares, which as of December 11, 2018, represents a maximum of 14.57 million shares based on the NYSE closing share price on such date. Ordinary shares which have been repurchased will be cancelled and not held as treasury shares. The objective of the share repurchase programme is to reduce TechnipFMC’s issued share capital, it stated. Under this pact, the subsea project struction major pointed out that the acquisition price per ordinary share will not exceed the higher of the price of the last independent trade and the highest current independent purchase bid on the trading venue where the purchase is carried. In addition, the Share Repurchase Program will be conducted in compliance with applicable securities regulations.